A groundbreaking partnership between Adobe, Microsoft and SAP, has birthed a new vision for renewable data and intelligent applications. Data is a company's most valuable asset. However, organisations still struggle to attain a complete view of their customer interactions and operations, because of the inability to connect information trapped in internal silos. Furthermore, with important customer information residing in external silos with intermediary services and third-party providers, this also limits an organisation's ability to create the right connections, garner intelligence and ultimately extract more value from its own data in real time to better serve customers. With organisations utilising software and services from Adobe, Microsoft and SAP to run product development, operations, finances, marketing, sales, human resources and more, the next logical step was to join forces to empower their mutual customers with the Open Data Initiative. With the ability to better connect data across an organisation, companies can more easily use AI and advanced analytics for real-time insights, "hydrate" business applications with critical data to make them more effective and deliver a new category of AI-powered services for customers. 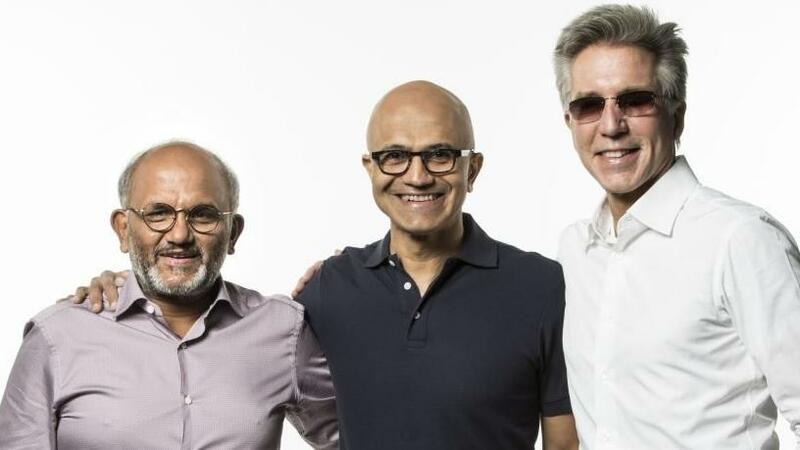 "Adobe, Microsoft and SAP are partnering to reimagine the customer experience management category," said Shantanu Narayen, CEO, Adobe. "Together we will give enterprises the ability to harness and action massive volumes of customer data to deliver personalised, real-time customer experiences at scale." "Together with Adobe and SAP we are taking a first, critical step to helping companies achieve a level of customer and business understanding that has never before been possible," said Satya Nadella, CEO of Microsoft. "Organisations everywhere have a massive opportunity to build AI-powered digital feedback loops for predictive power, automated workflows and, ultimately, improved business outcomes." "Microsoft, Adobe and SAP understand the customer experience is no longer a sales management conversation," added Bill McDermott, CEO of SAP. "CEOs are breaking down the silos of the status quo so they can get all people inside their companies focused on serving people outside their companies. With the Open Data Initiative, we will help businesses run with a true single view of the customer." To deliver on the Open Data Initiative, the three partners are enhancing interoperability and data exchange between their applications and platforms - Adobe Experience Cloud and Adobe Experience Platform, Microsoft Dynamics 365, SAP C/4HANA and S/4HANA - through a common data model. * Technology leaders at top retail and consumer products companies, such as The Coca-Cola Company, Unilever and Walmart, have expressed support and excitement about the Open Data Initiative.